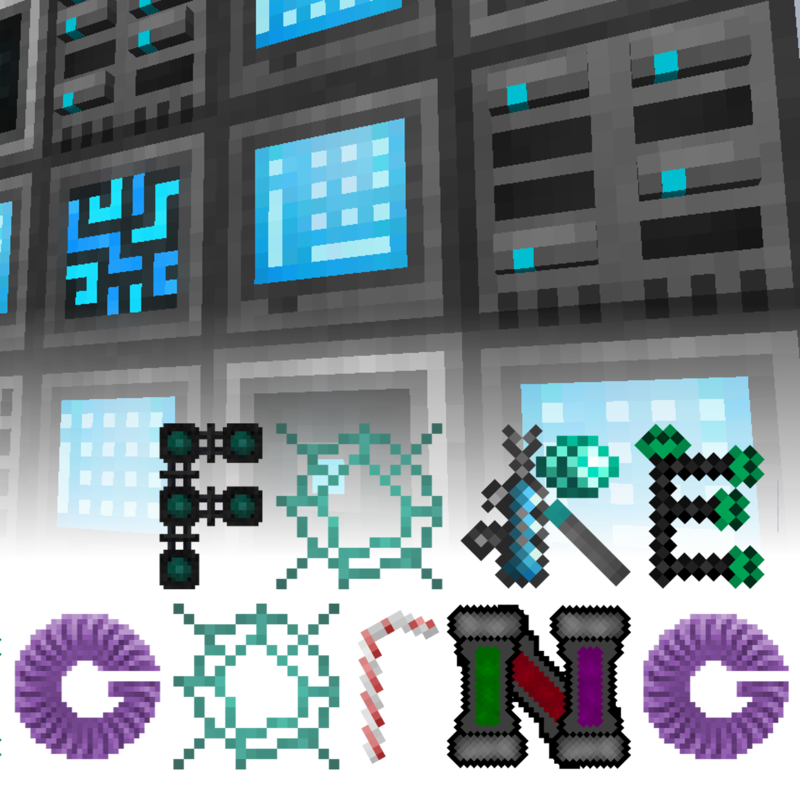 Minecraft Foregoing is a modpack in Minecraft 12.2 which does not include most of the "mainstream" mods. It wants you to play with every mod in this modpack by linking the mods in a progression line together. You will be lead by the questbook and you will have optional paths to play through the pack. In the past I played a lot of all purpose modpacks with 200+ mods like Modern Skyblock 2, FTB Beyond, FTB Infinity and so on. But with Minecraft 12 there are a lot of new mods that you don't even use in new big modpacks like All the mods 3. So my goal was to include mainly mods that I haven't played through yet. To complete this to an enjoyable pack I did add some basic mods like tc and immersive engineering and some end game mods like draconic evolution and mystical agriculture. The second thought for this modpack was to bind together many of the mods. I played a lot of Modern Skyblock 2 where you have to always switch to different mods to achieve a goal in another mod and I liked that a lot. There is an official server where you are welcome to play on. However if you want to make your own server, you can find a download for server files on every update after version 0.10. To create a server run the forge[...].jar. If I'm correct, I see part of an ME system in the icon, but I don't see Applied Energistics in the list. Does this mean it will be added in the future? I'm somewhere in the middle of it, and I do have a problem: There is some intermediate tier of storage missing. Often, drawers does that bridging from crates/iron chests to refined storage, but here, there is nothing. And refined storage is too heavily gated (psimetal for the basic processor?) to go into at this stage. Not sure what would work, "simple storage" might be too powerful, but if you'd gate the wireless part hard, it might work nicely. Also, item transport (or at least, item export) is a problem. Fluid transport has two solutions with immersive engineering, and with embers, but the item pipes from embers don't work with a lot of inventories. Incidentally, the fluid pipes from embers also have problems when something sends multiple liquids, like the mob slaughtering machine. Make it possible to automate Psi resources like metals and stuff? I am having a problem in the quest "basic power" in the Actually Additions quest line. The crystallized canola seeds are not being recognized (of which i have tried with different amounts eventhough the quest asks for one). I did click the button to hand in the quest. sorry if this doesnt make sense. It's set to "craft" instead of "retrieval" as it should. Same with (fluid|item) laser relays. There's an issue open for that. Any plans to add Mekanism? Another one question: How to open the quests in the catalog of Draconic Evolution? In initial, I think this catalog can be open by visit the end dimension, kill the ender dragon, or get an elytra, or obtain an item related to Draconic Evolution, but this catalog still closed after I done all of them. So, which quest can open the catalog of Draconic Evolution? It is empty because the quests aren't done yet..... They will be added over the next weeks. is this going to be compatible with multimc? Which world type I should choose? 'Default' or 'Realistic'? When I enter the world, CraftTweaker said error XXXX, is it okey or not, or just my problem?